LYNCHBURG, VIRGINIA--Theo Woods was in the middle of making a move with three laps to go in a nationally elite 1K field at The VA Showcase a year ago when his calf decided to twist a cruel fate. "It was heart breaking," Woods said of the difficult decision to pull out of the race. It put to end any hopes the E.C. 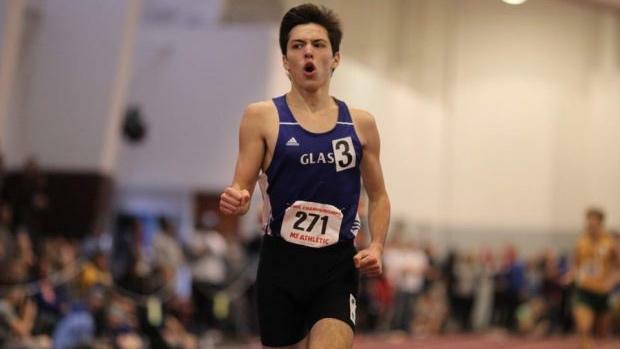 Glass (VA) High School junior had in proving himself against some of the top runners in the country. And one year later, it's a moment he hasn't forgotten. "I told myself that day, 'Hey, I've worked this far, this is a big race. I have to at least get my mind around this and get in there," said Woods, a Georgetown signee who currently takes a flexible academic schedule at Central Virginia Community College. "It helped me a little bit of getting over the stress and to race with some big names." But the effort should tell you a little something about Woods, who largely has been one of Virginia's best mid-distance runners over his career but has yet to leap into the national focus. The two-time state winner at 800 meters in Virginia finished 12th at New Balance Nationals Indoor in 2018 and then followed with a 10th-place outing in the race at NBNO. If nothing else, last year's effort at The VA Showcase proved how tough he was. To get out, to sprint, to hold and then to move for 90 seconds on a less-than-100-percent calf in a race that finished under 2:30, resetting the national rankings a year ago? "I knew if I had hung on, if the injury hadn't happened, I'm sure I would have ran a PR," Woods said. Fortunately, the Georgetown University signee is back in 2019. On Friday, he'll eye up the first true fast mile of his career, a potential a sub-4:20 effort that will feature Foot Locker Nationals runner-up Jake Renfree. And then on Saturday, on the indoor track at Liberty University that feels like a second home, he'll get his shot at redemption in the 1K. Like last year, the field is stacked with heavy-hitters like Oregon commit Luis Peralta, New York blue-chipper Matthew Payamps and top-level athletes like Theo Burba and Malcolm Going. "When the gun goes off, all the strategy will go out the window," Woods' coach, Van Porter, said recently. "He'll have to rely on how he feels. I hope he does that, where he can relax and embrace the moment. But there's no doubt in my mind that he's much faster than he's shown so far." Woods is currently ranked US No. 4 in the 1K from an effort at the Liberty Christmas High School Invitational in December. 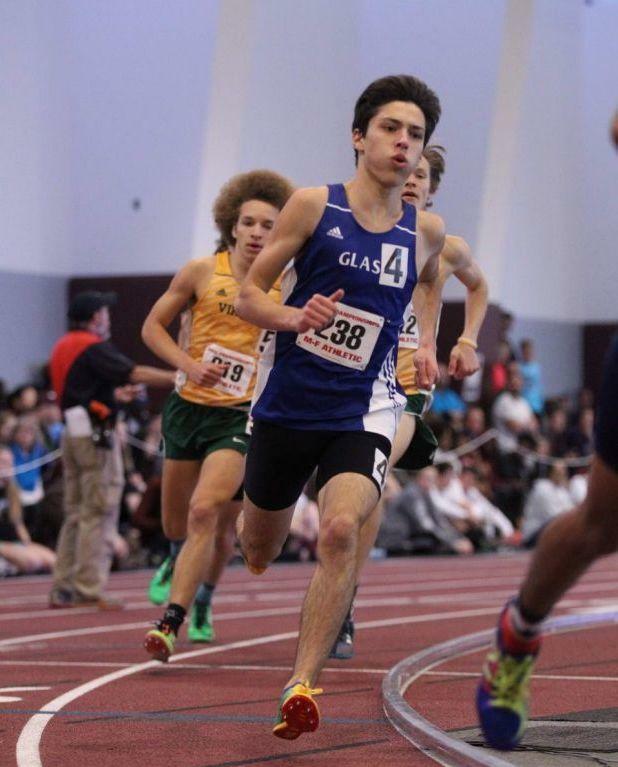 He's Virginia's defending indoor state champion in the event, and he'll also race in front of a home crowd. Historically, he's run 51 seconds in the 400m outdoors, and then 1:07.21 in the 500m and 4:18.99 in the 1600m indoors. Those factors should add up. "It's going to be a lot of fun," said Woods, who will be racing with his future Georgetown teammate Payamps. "I've been looking forward to running the Showcase ever since I had to pull out last year, and I know this time I'll have an edge. This is my hometown." Over his career, Woods has shown immense talent at 800 meters, where he won an outdoor title in Virginia and produced a top time of 1:52.23. And in a lot of ways, it became his calling card. Many around the state believed it was the one race that few could beat him at. But at this point, Woods, who's father was a former professional football player, knows he's more than just a half-miler. The last six months of training has told him that. "Going through cross country my junior year. I never really understand why I couldn't compete with some of those guys on the track," Woods said. "They were blowing me away. But finally, this year I moved up to about 40 miles a week and I made a big jump." Woods lowered his PR at the 5K distance to 15:33.30, a roughly 30-second improvement from his best time time in 2017. In November, he was eighth at the Group 4A Championships, his highest finish in cross country. "He has a lot of range," Porter said. "He's like a utility baseball player, he can do it all." Beyond just adding more mileage, however, Porter's thoughts have finally begun to sink into Woods, who used to take every workout at 100-percent. "I told him some time ago, 'You're trying to do too much, you're going too fast, you're working too hard in practice'," Porter said. "The body only has so many races in it. I asked him why he was using those efforts up in training. He finally embraced it and that's when he took off." Woods saw some of that payoff in the 1K in December, his first race of the indoor season. "That 2:28 was the smoothest race I've ever ran," he said. "It felt really good. It was kind of solo. I didn't feel like I had the push that much. It felt like a time trial. I felt a lot stronger. And it told me I'm not longer relying on speed to get me there." Woods' performance at The VA Showcase could mark an important shift for the future Hoya. The EC Glass senior, who put himself in a fast 500m in January to see where he was at--the result: 1:07.21-- is out to prove his national-level talent extends past just the 800m. "He doesn't like to lose," Porter said. "He'll give his life to win, and that's a good attribute to have. But if he gets beat, by gosh he believes he'll eventually get you back. There's nothing you can do when you lose, but you can try again. And that attribute will carry him far, too."